While I am still in the process of tidying up my next post I would like to repost the first blog entry of my former blog account. This may not make sense to some of you as the entry was written upon my entry into the Postulancy program of the De La Salle Brothers. The reason for reposting is because it is around this time that the results of the applications to the Brotherhood come out. The Postulancy contributed greatly in the process of my self-discovery and it is where I forged deep bonds of friendship with the community of Brothers and lay partners with whom I lived and worked with for one year. I didn’t move on to become a Brother as the discernment process led me to another path. I wish all Aspirants all the best and may the many blessings that the Postulancy brings be with you. As for the rest of us, let us pray that the Brotherhood, Priesthood, and Sisterhood (is this how we call the fellowship of the nuns?) see an increase in vocations. Live, Jesus, in our hearts… forever! 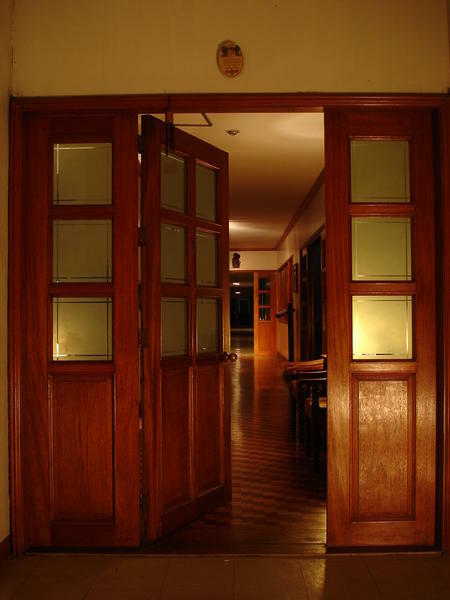 We entrust the Lasallian Formation Center and all its residents to St. Br. Benilde (Pierre Romancon). Br. Benilde felt that his own role was to enliven the christian atmosphere of school communities he worked with so that it would be a good nursery where vocations would be planted well to flourish in God’s own time. He was known for his cheerful disposition, dedicated service and prayerful life, day after day, inspiring many young men to be holy as the Father is holy. Most Holy Trinity, we ask you to bless those who enter and live in this house of formation. Bless them with the cheerfulness that Brother Benilde exhibited in doing his duty. 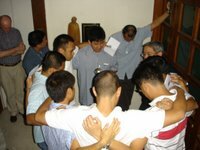 Grant them the gift of dedication and prayerful life to inspire other young men to heed God’s call and nurture their religious vocation. St. John Baptist de la Salle… Pray for us. St. Benilde… Pray for us. This will be my address until March 2007. Even though it was not succeeded as being a Brother…. We’re very proud of you. Because he has a better plan for you…..Like being the head of the Time to Build Time to Share fund raising campaign and being blessed by your presence and knowledge in our beloved parish -OUR LADY OF SORROWS…. Next Post Butch Café turns 1!